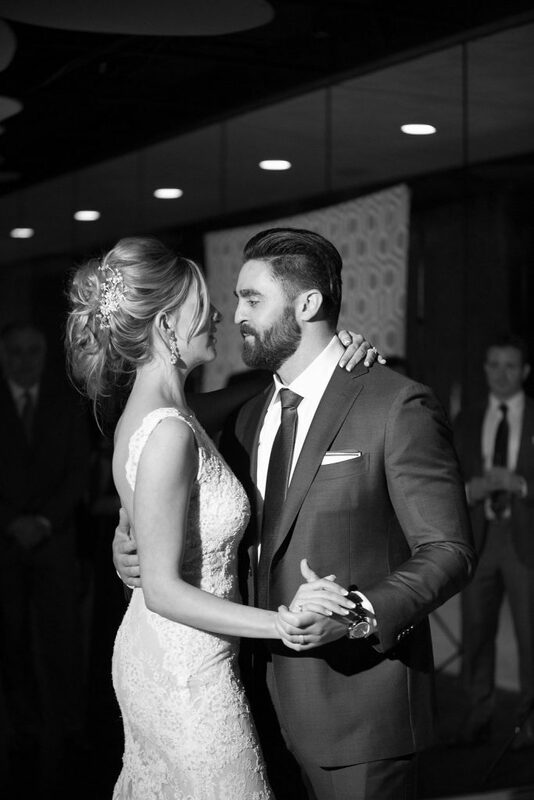 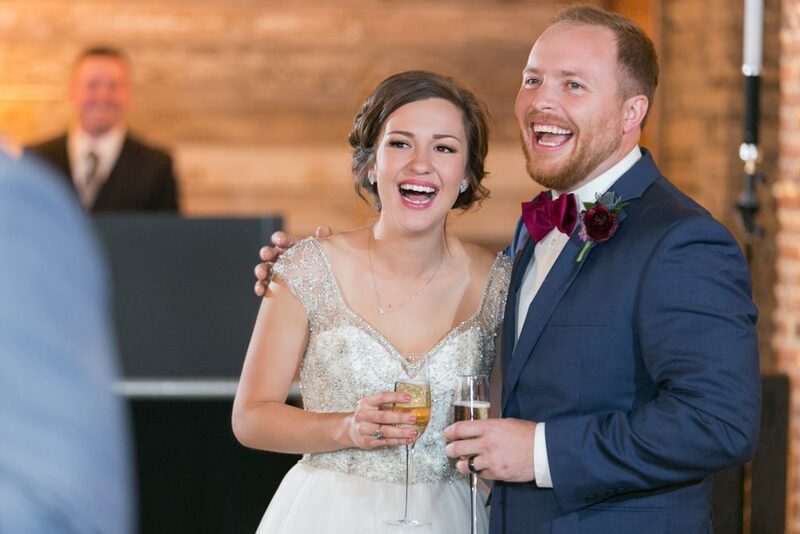 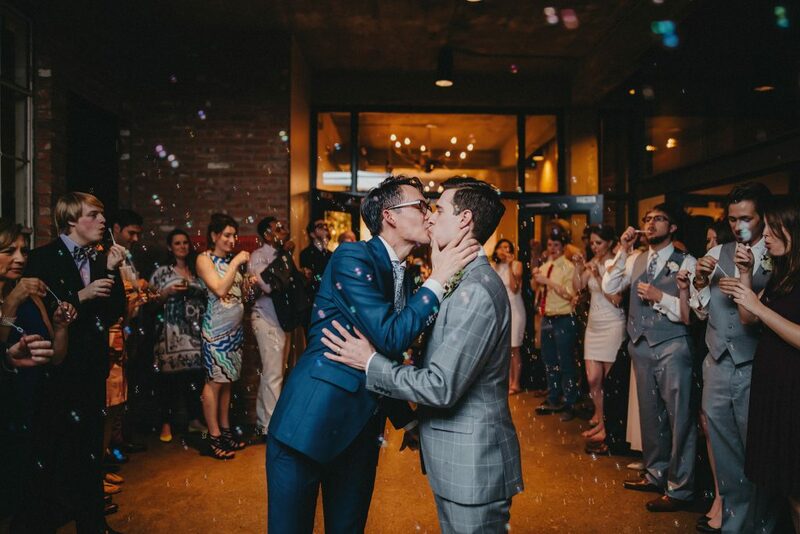 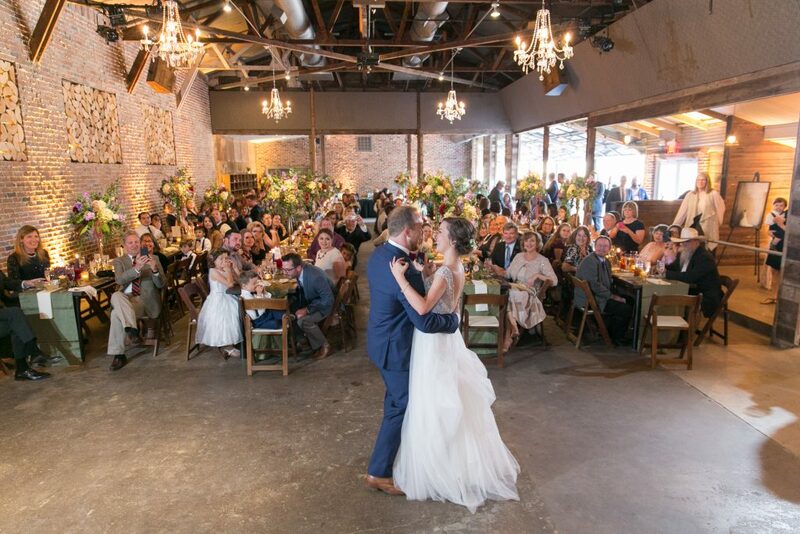 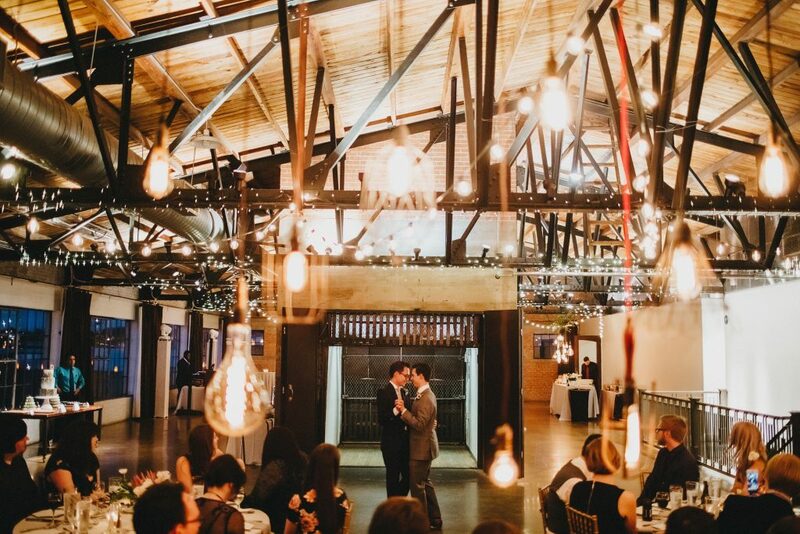 Vincent and Kelli tied the knot on a crisp evening in April at Marie Gabrielle in Dallas. 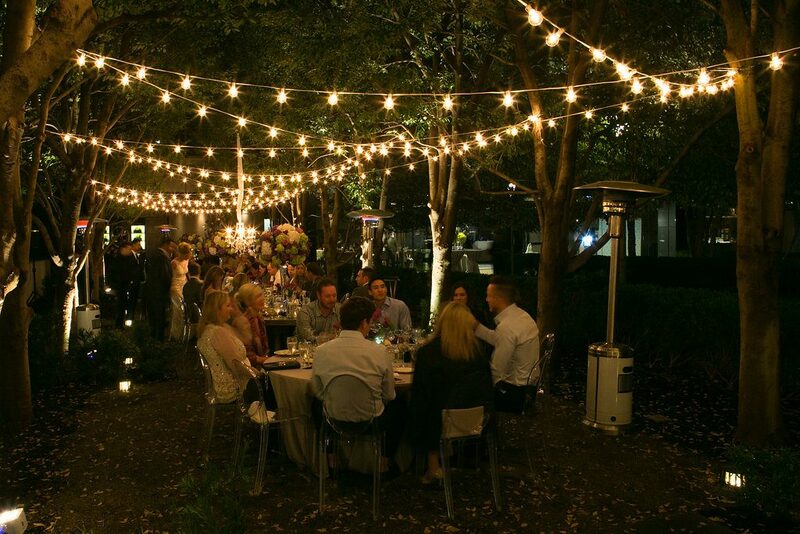 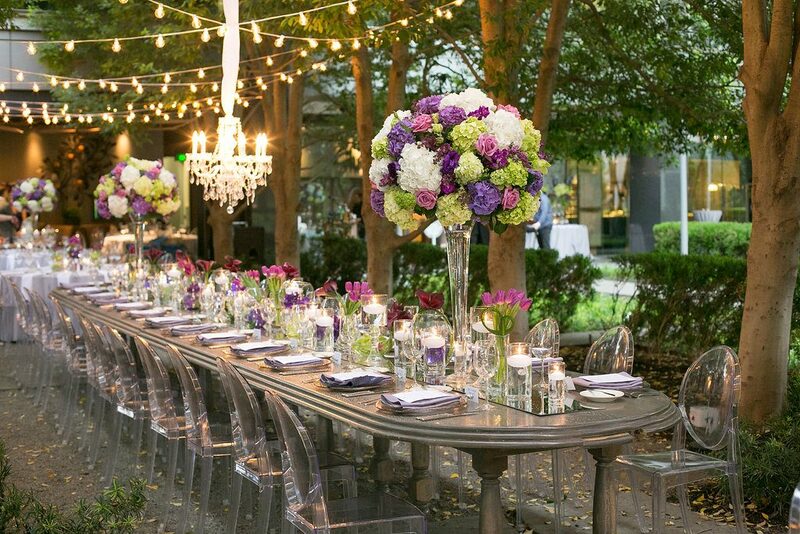 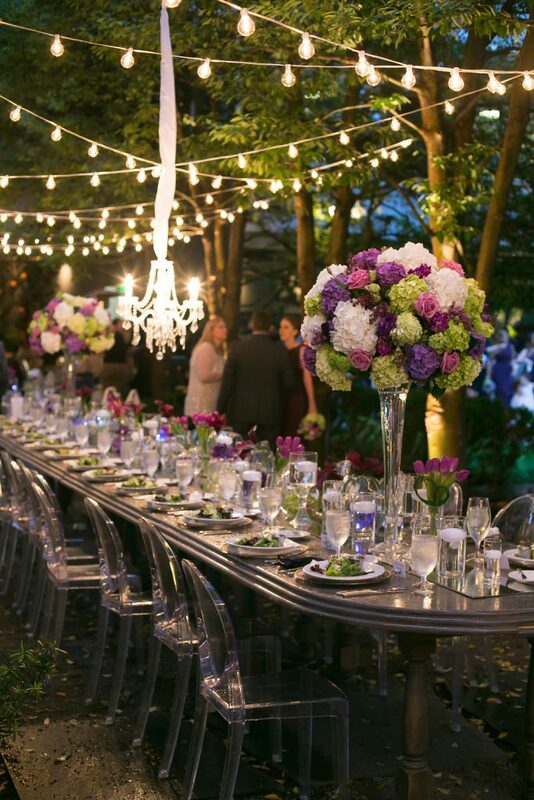 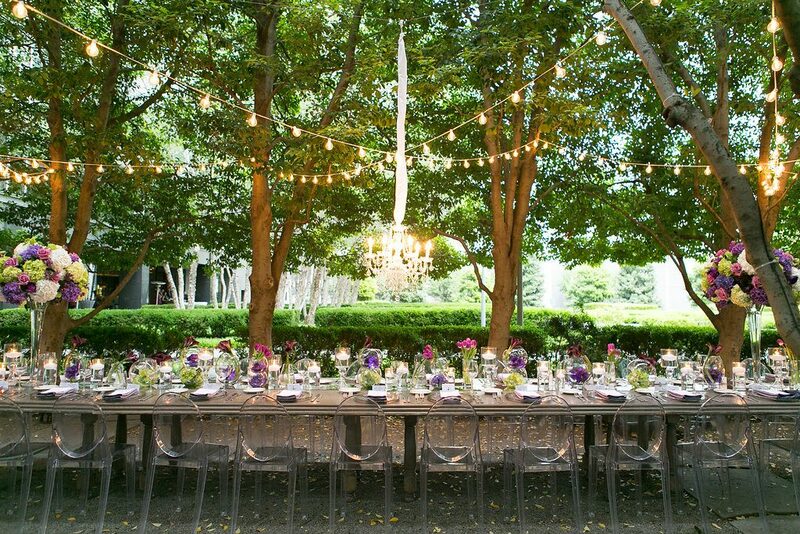 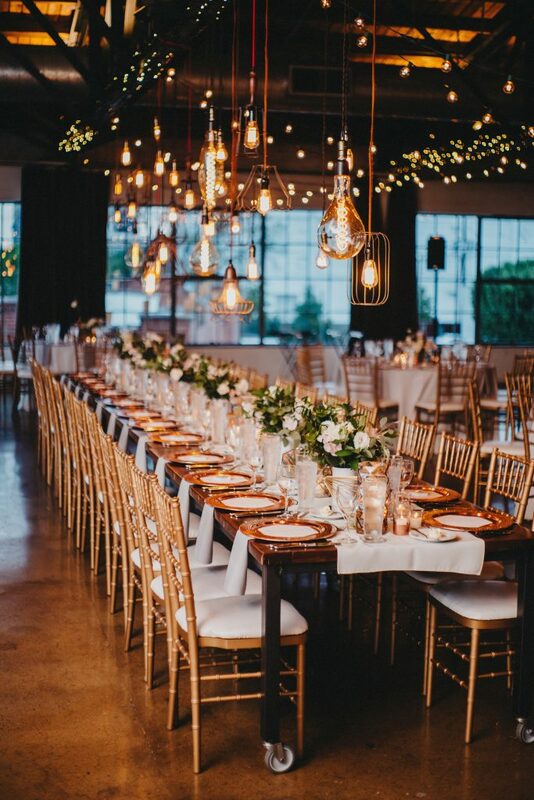 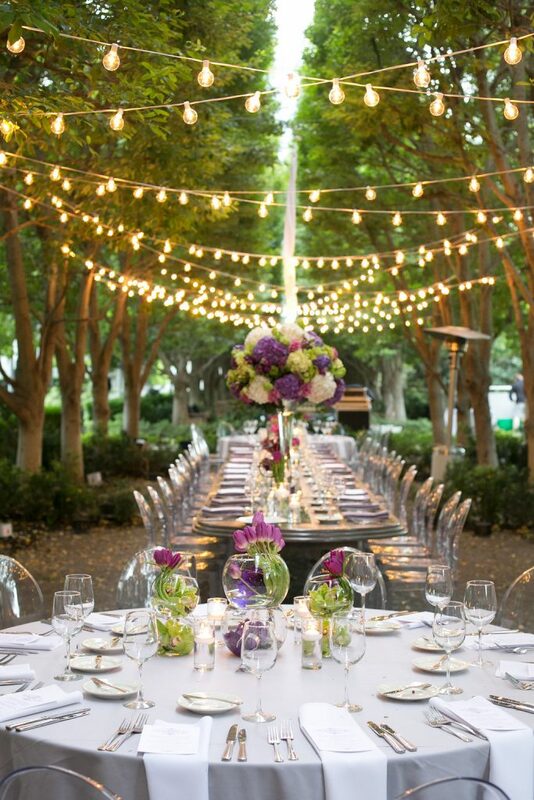 They choose romantic string lights and chandeliers to accent the gorgeous outdoor setting for dinner. 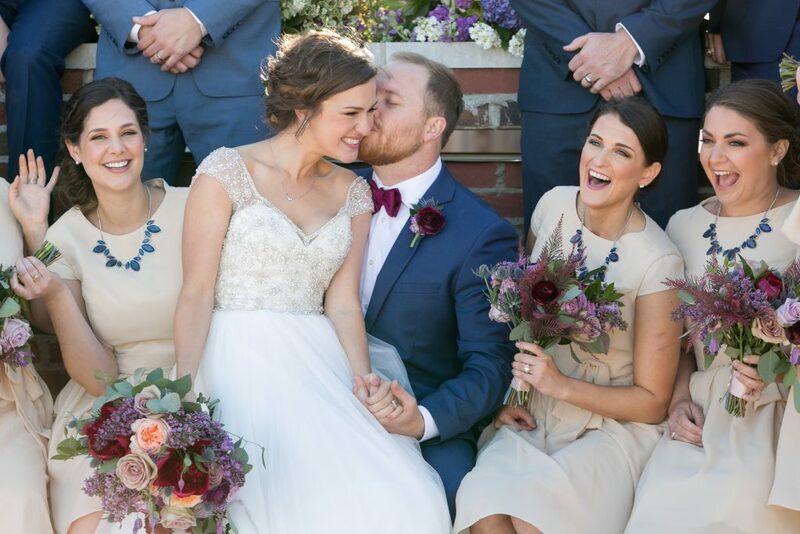 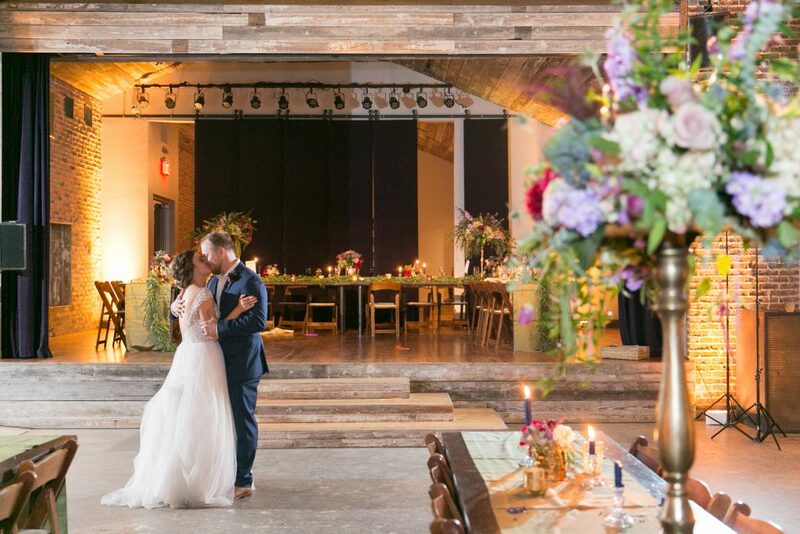 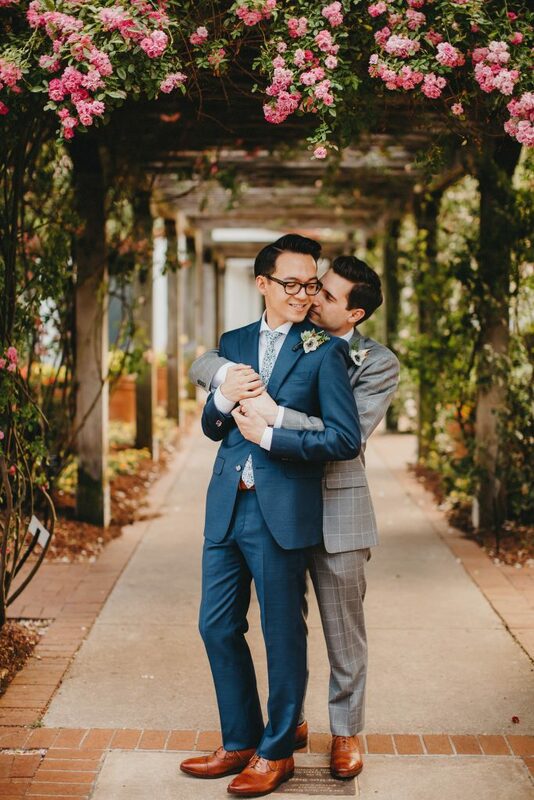 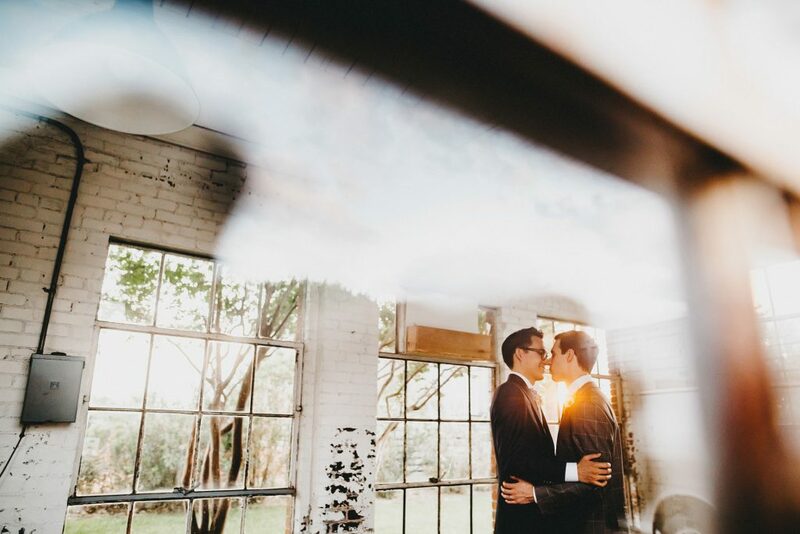 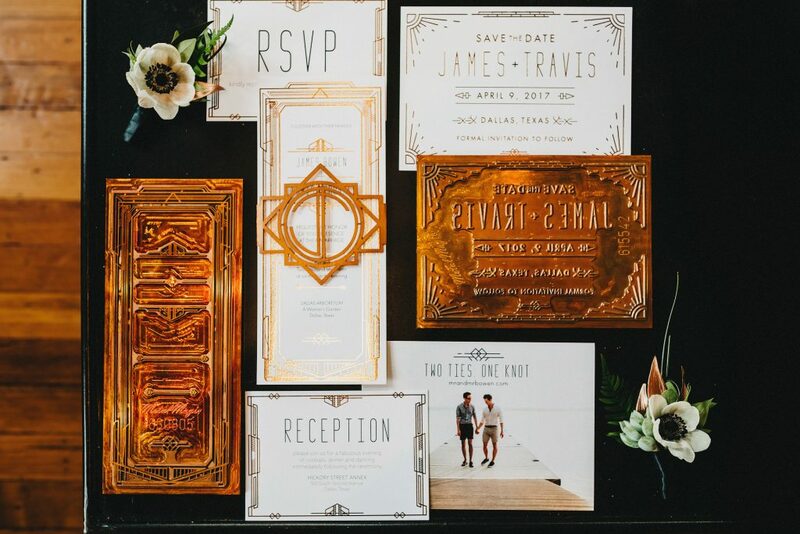 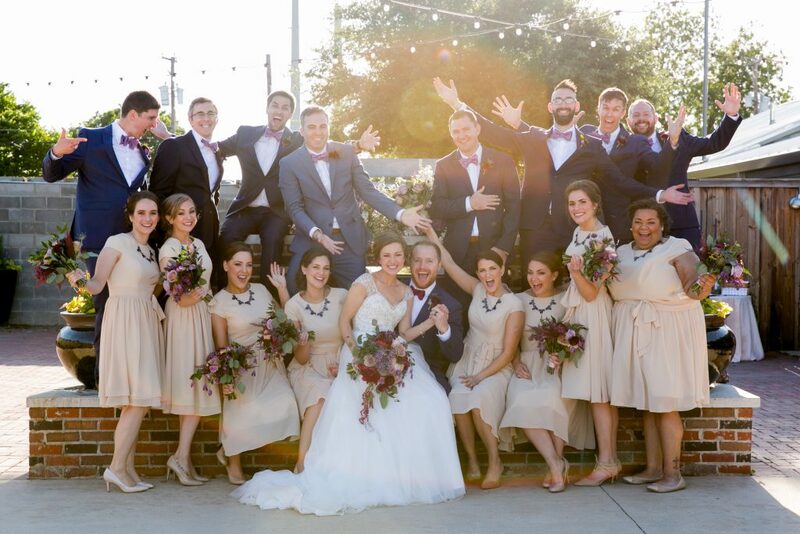 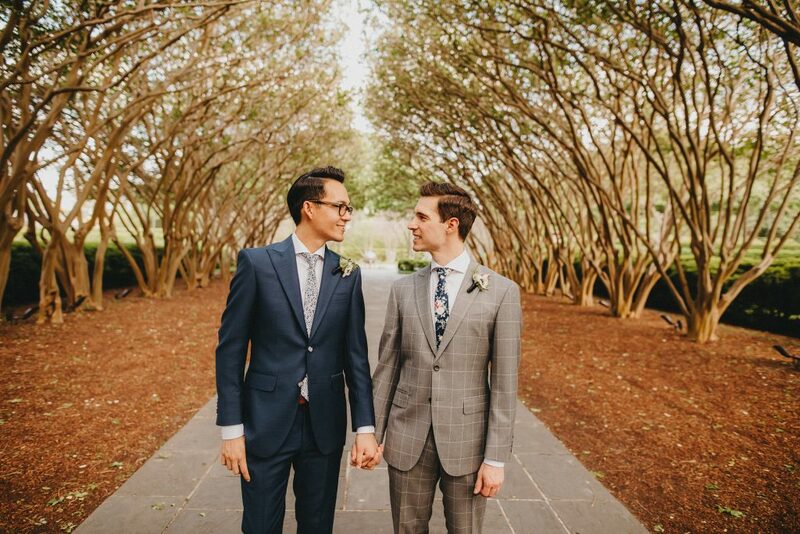 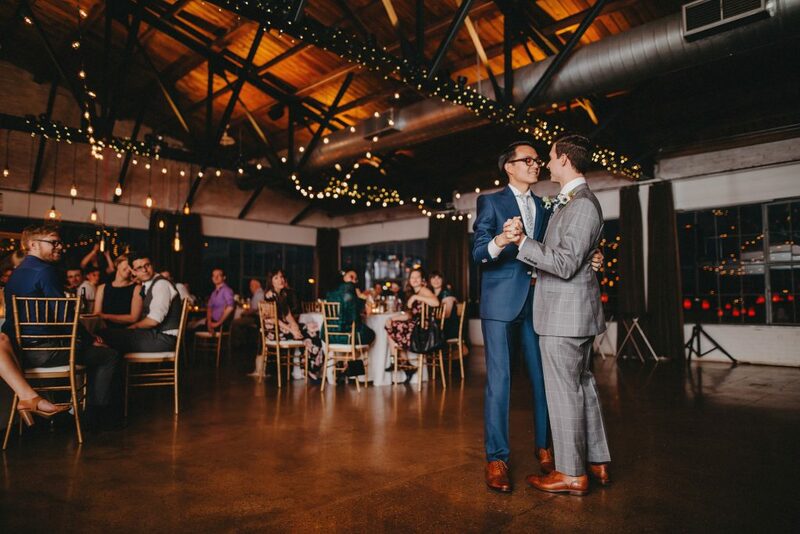 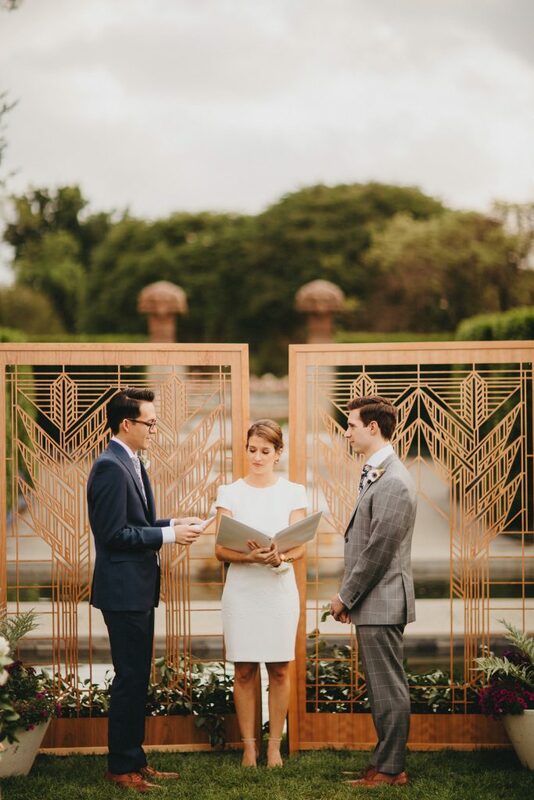 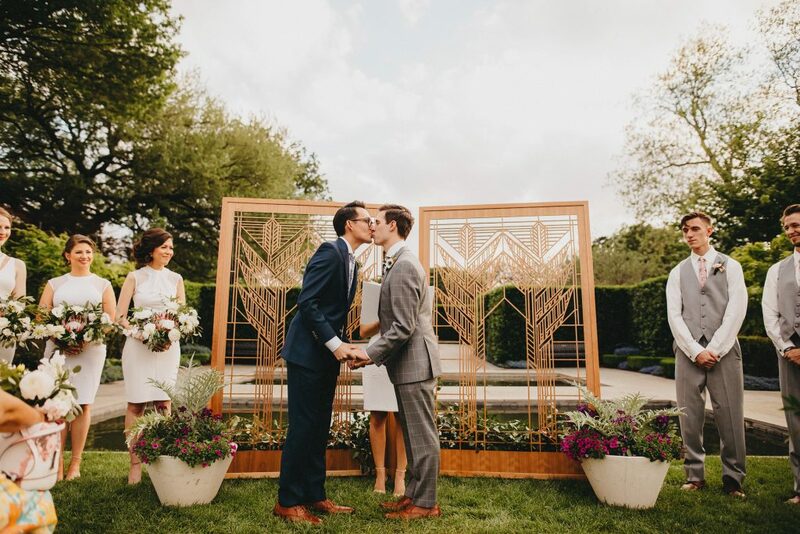 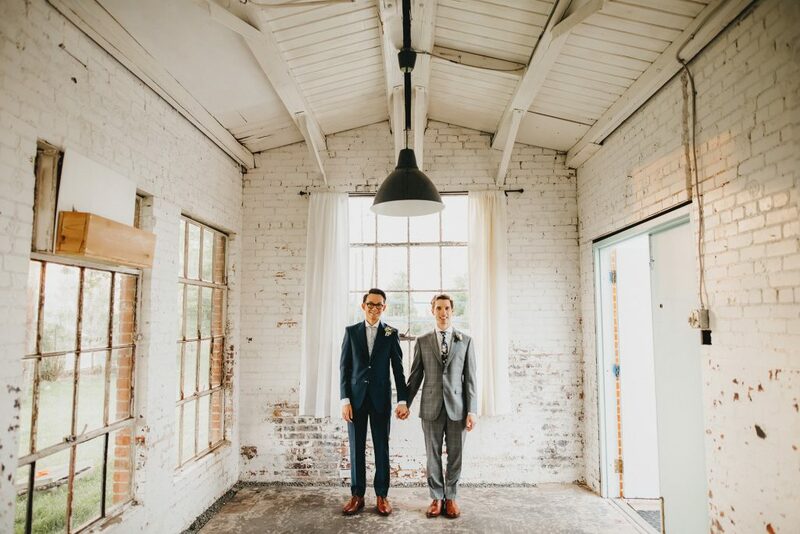 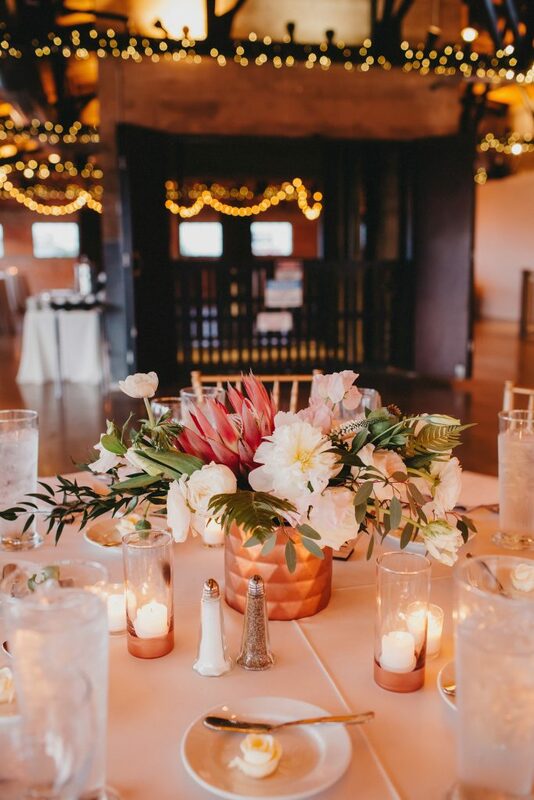 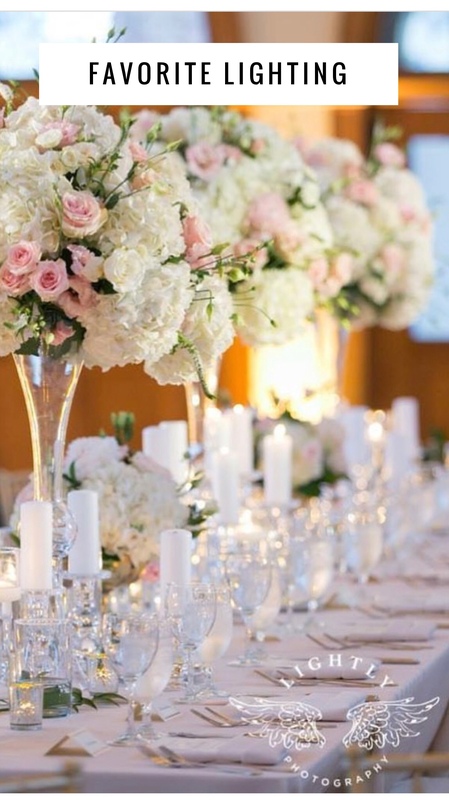 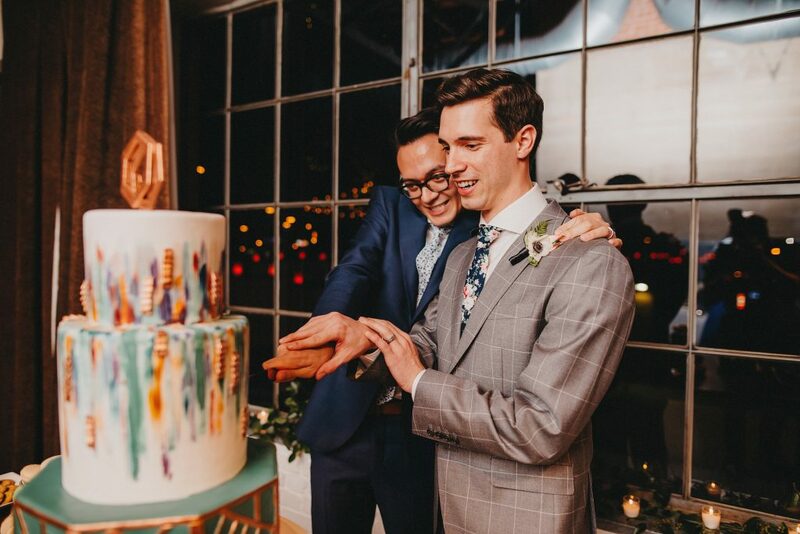 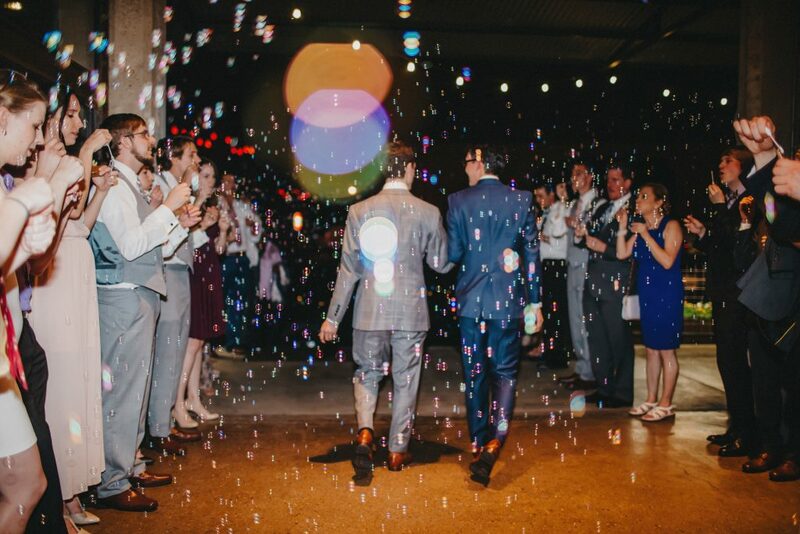 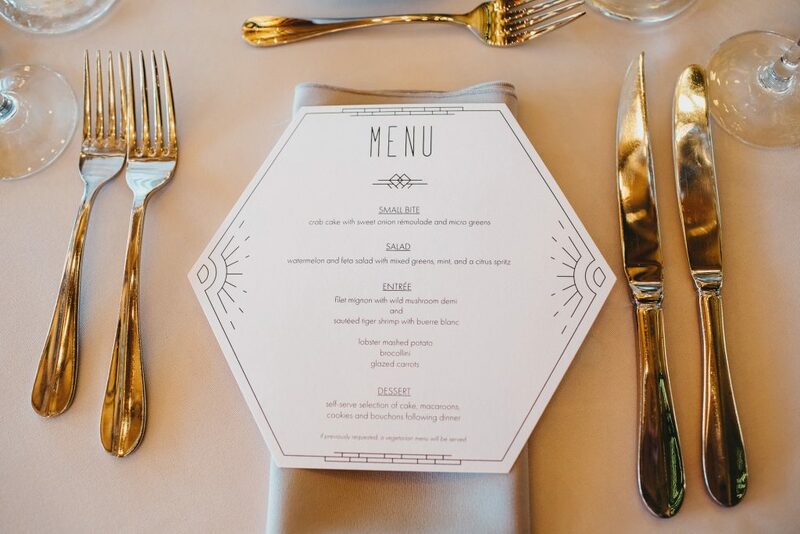 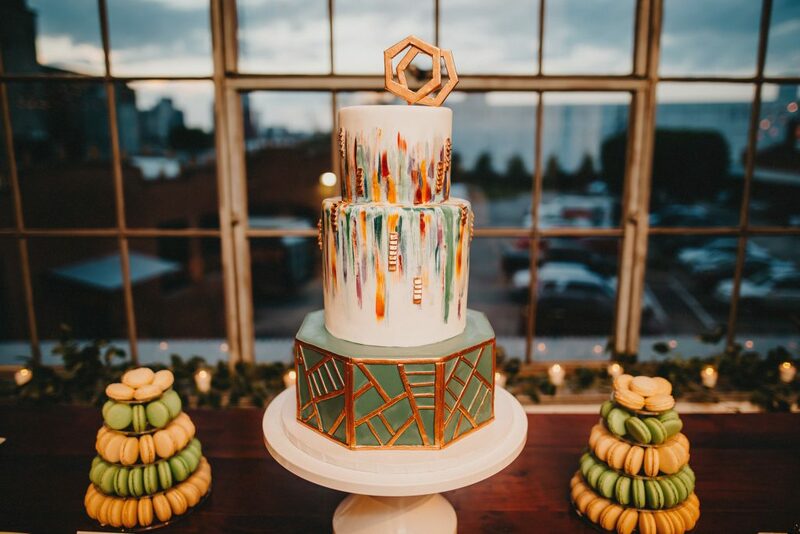 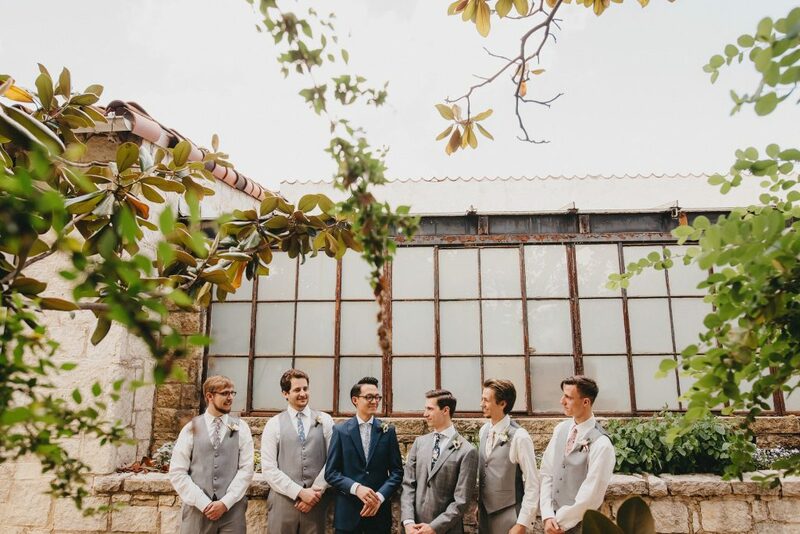 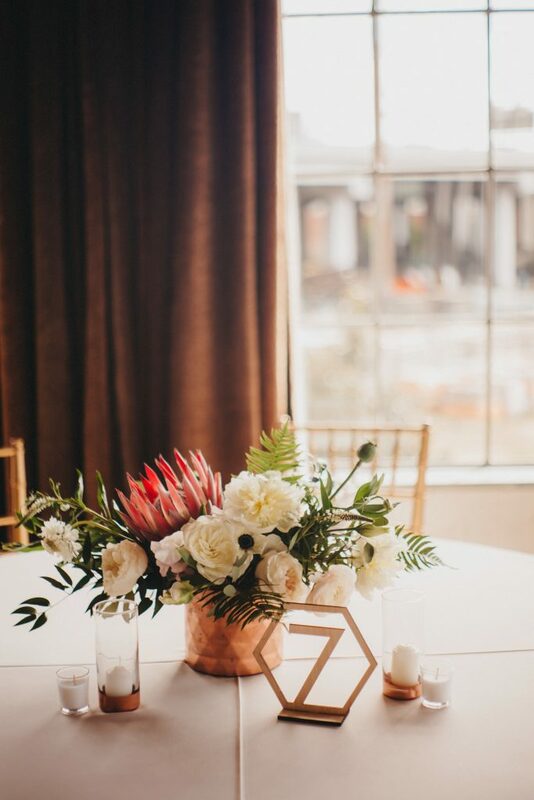 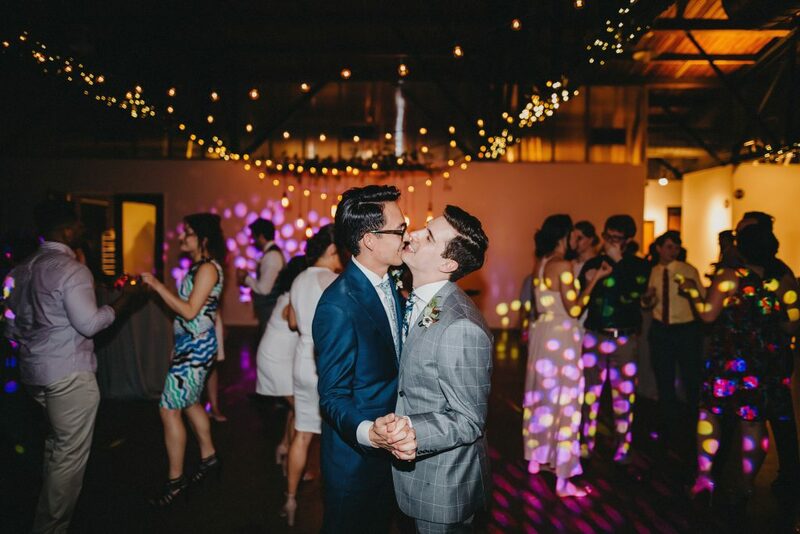 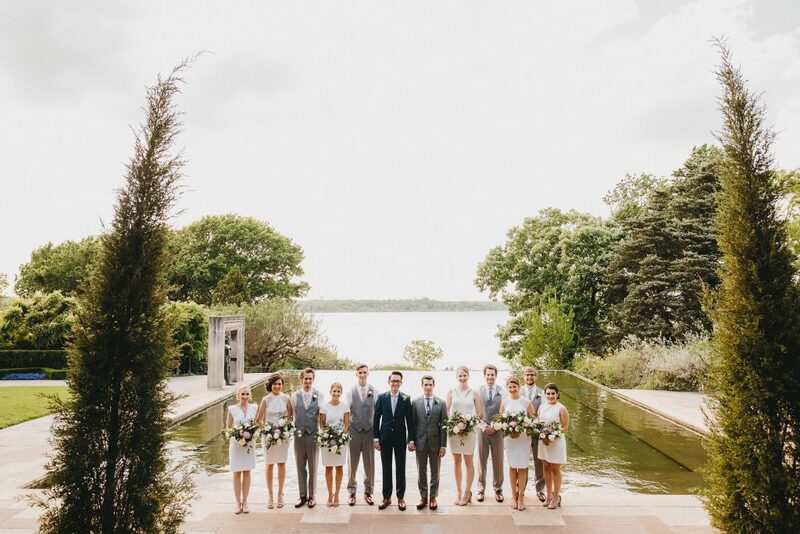 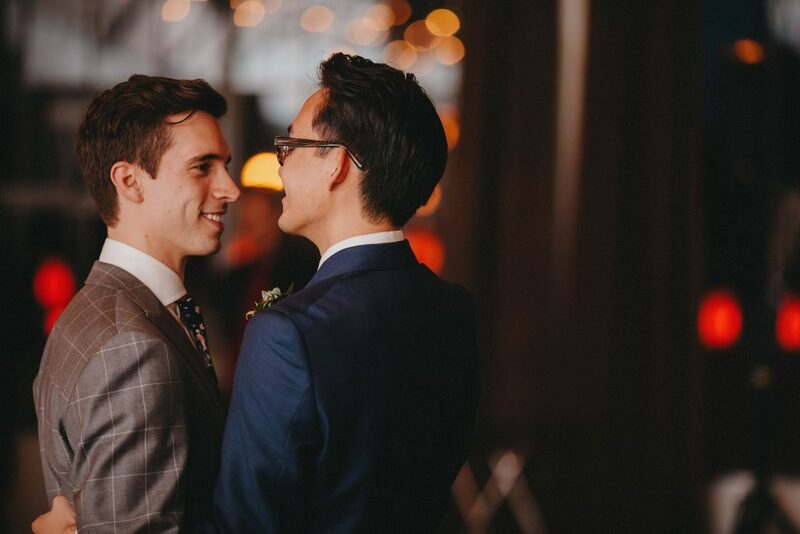 Meggie Francisco helped them plan their dreamy and colorful wedding in uptown Dallas. 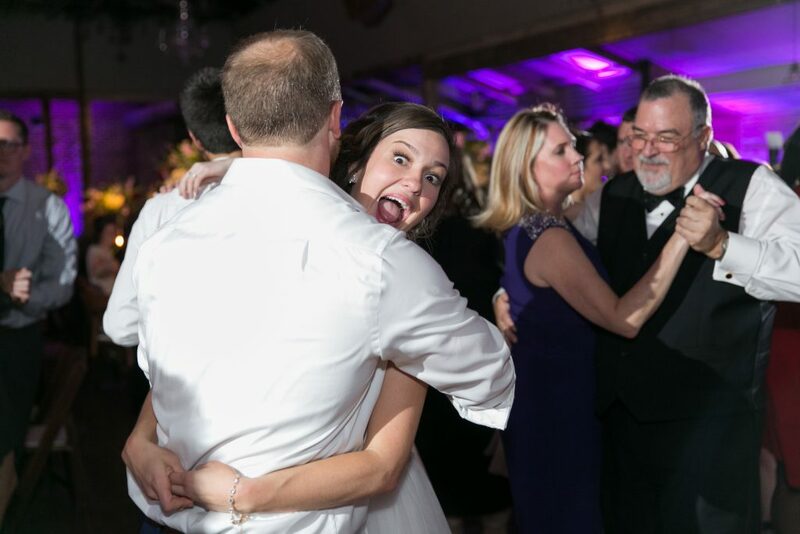 Then they moved the party indoors to hear DJ Glenn Roush spin for the dancing portion of the reception. 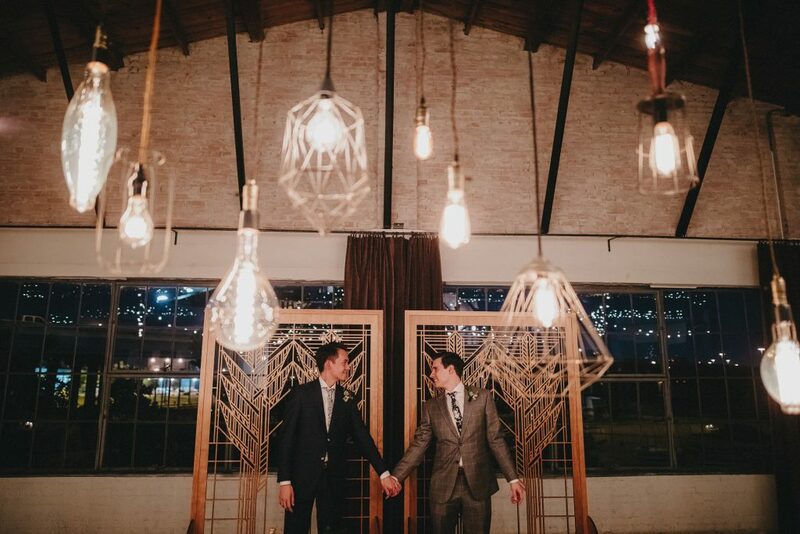 The Mamones captured these amazing shots of the beautiful night. 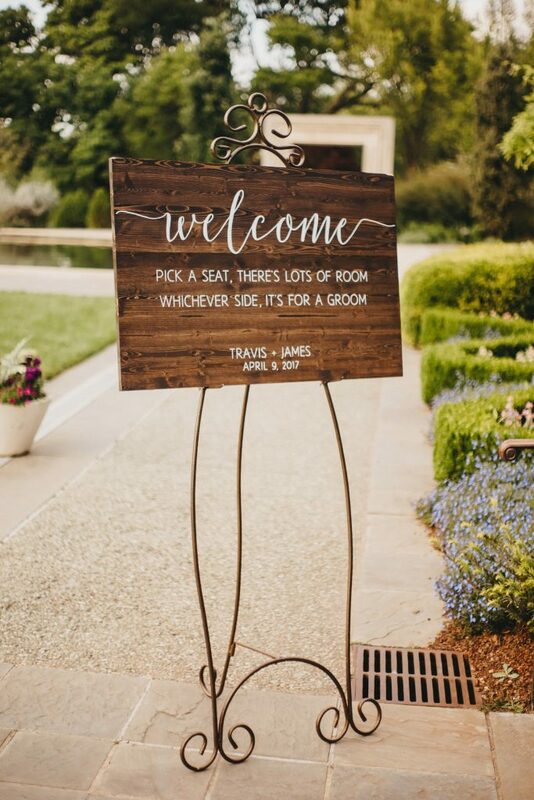 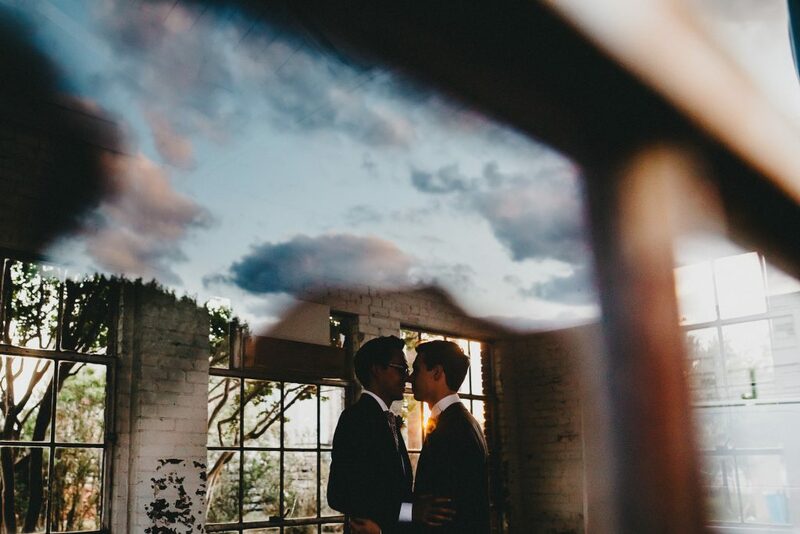 From the garden backdrop for the ceremony to beautiful decor at the reception, not a single, gorgeous detail was overlooked at Travis and James’ wedding. 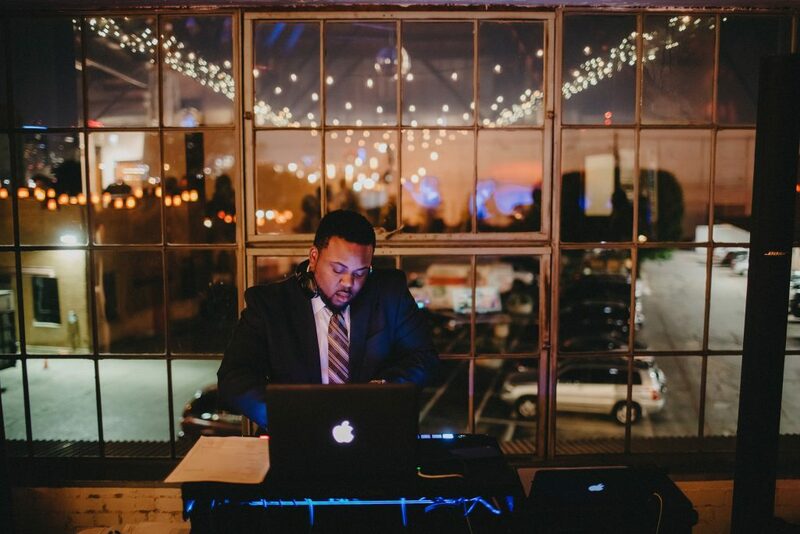 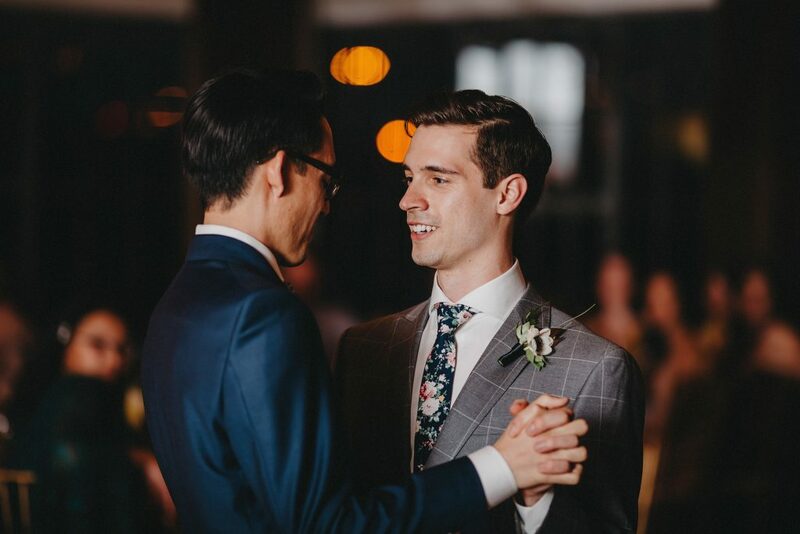 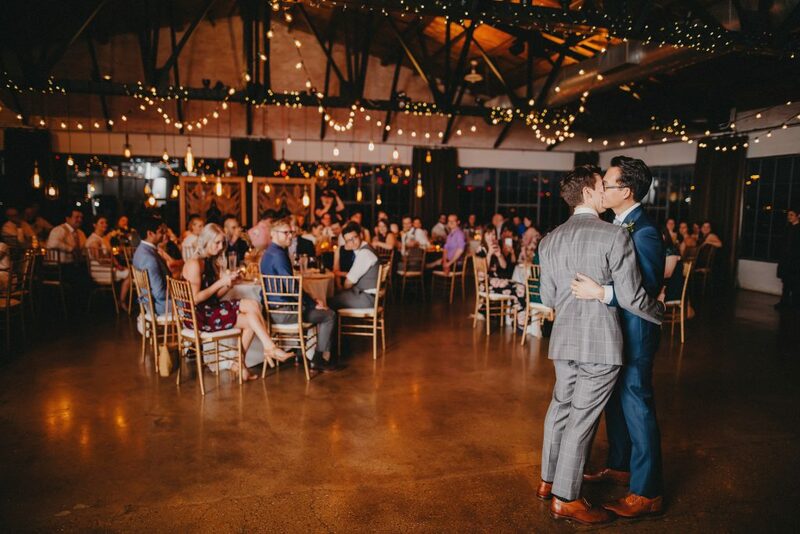 With a focus on Art Deco decor and dreamy lighting guests danced the night away with MC Glenn Roush and DJ Cameron Harris. 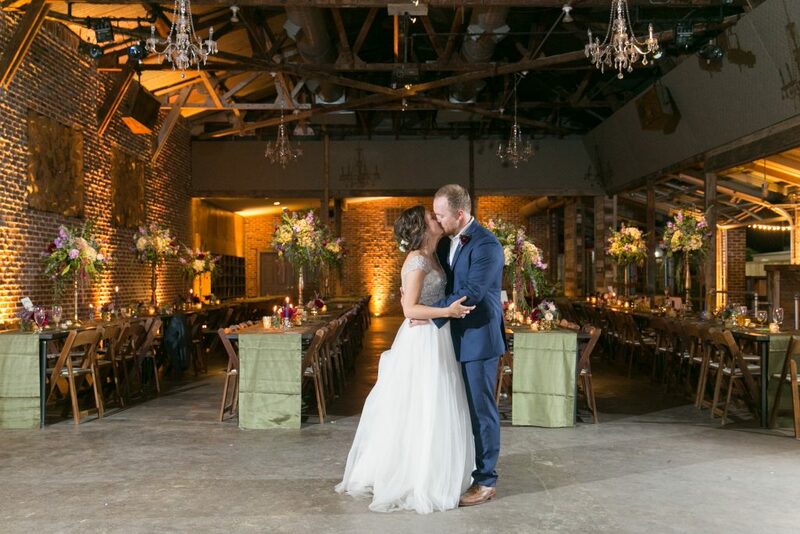 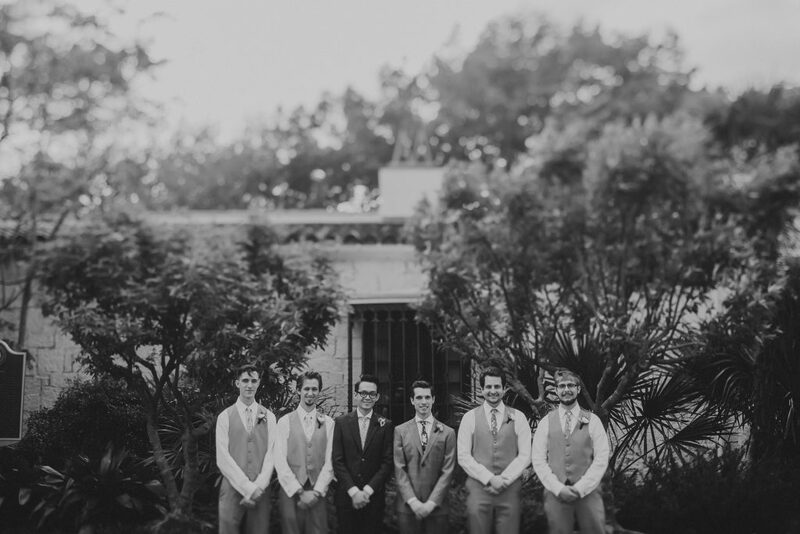 We can’t get enough of this stunning wedding captured by Two Pair Photography and executed flawlessly by Amanda with After Yes. 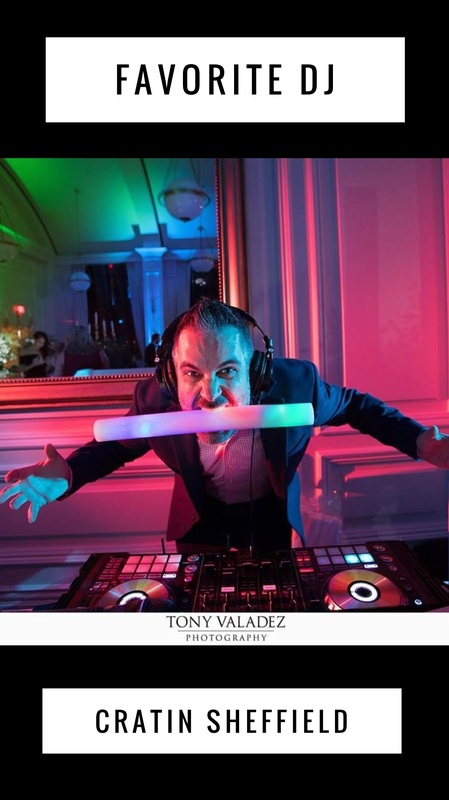 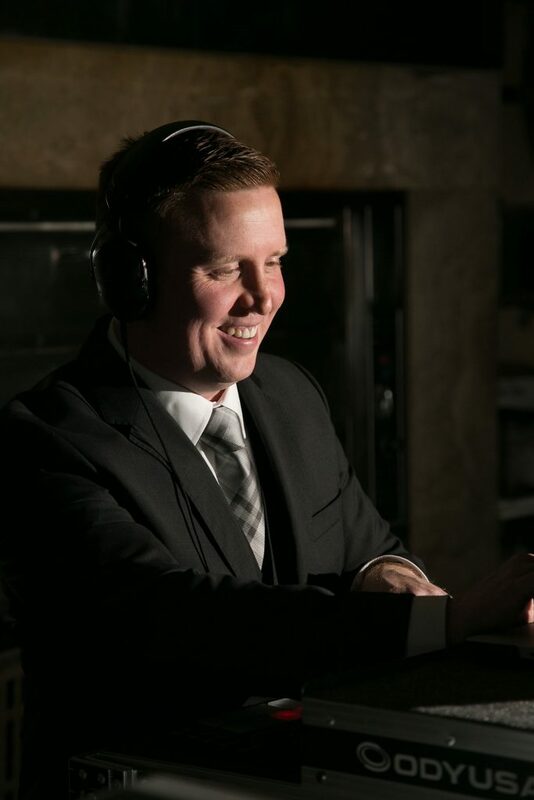 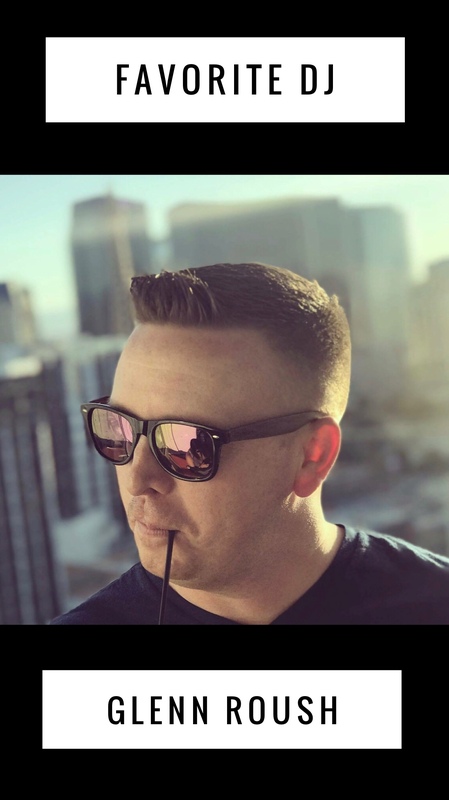 It’s always an honor to be chosen to MC/DJ someone’s wedding – but when it’s a fellow wedding vendor it holds a special place in our heart. 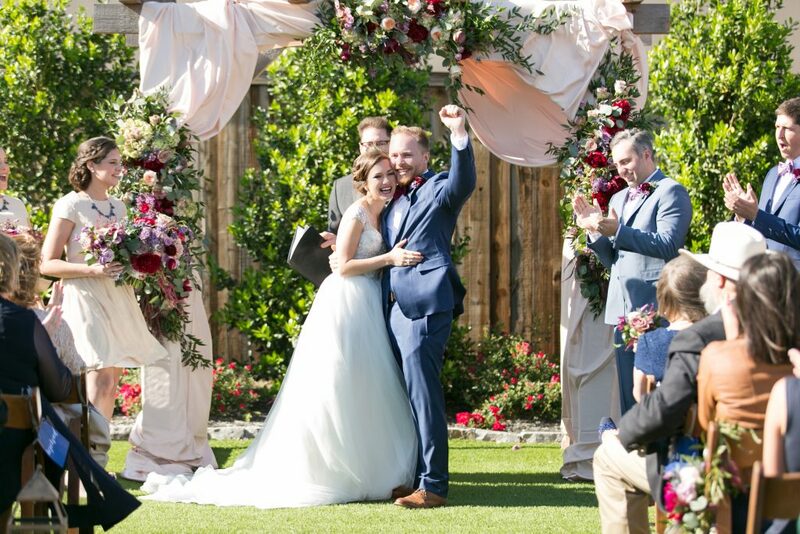 Glenn was thrilled to be a part of this special day! 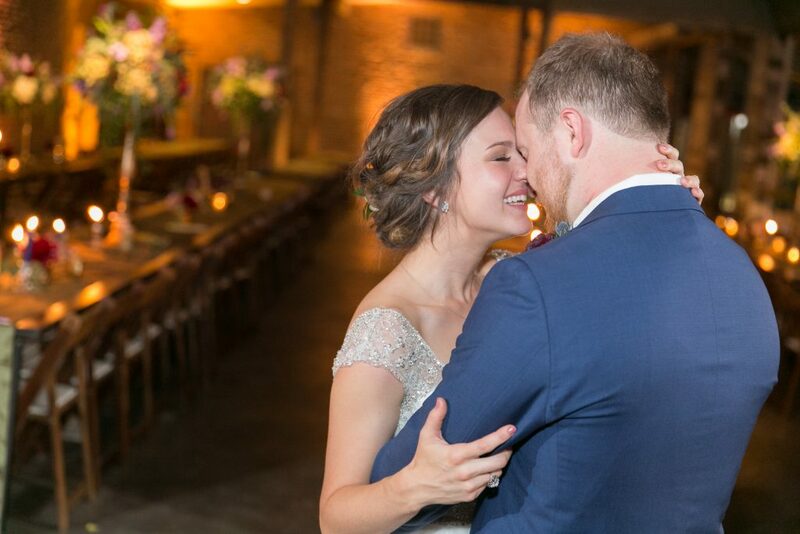 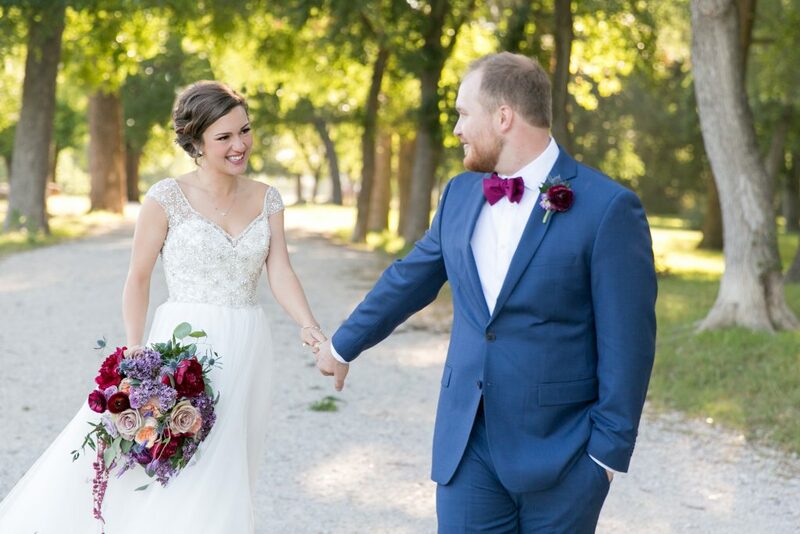 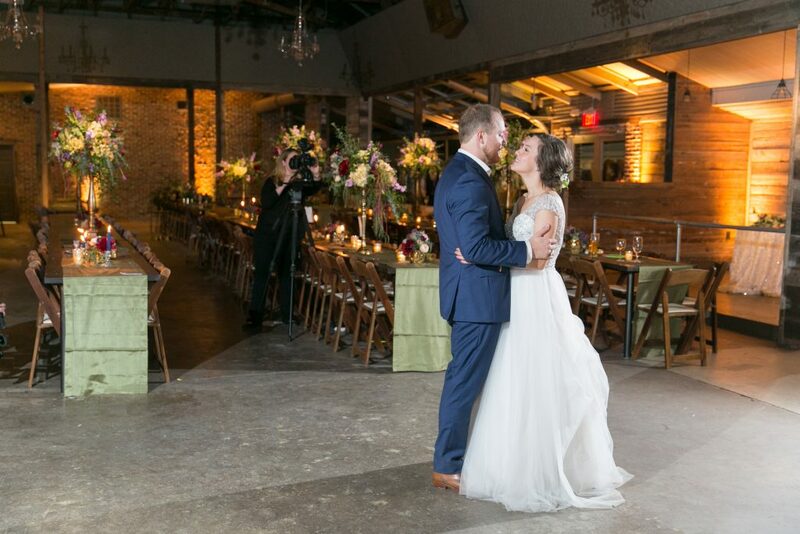 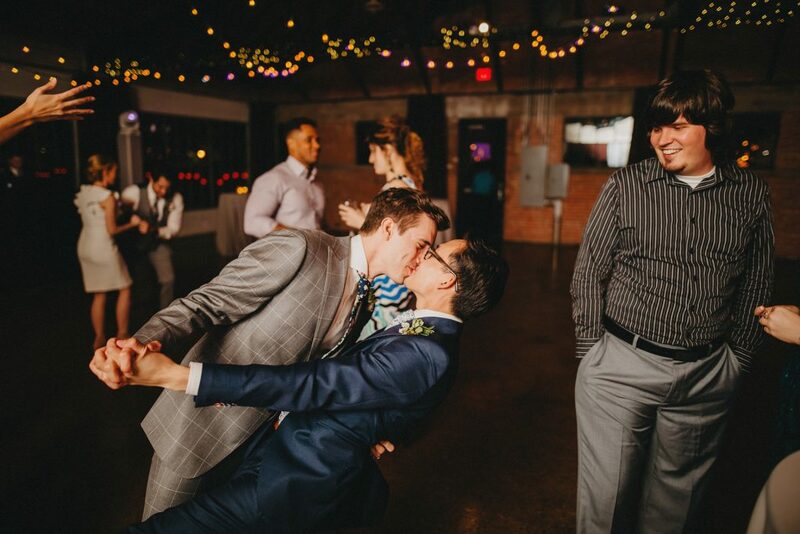 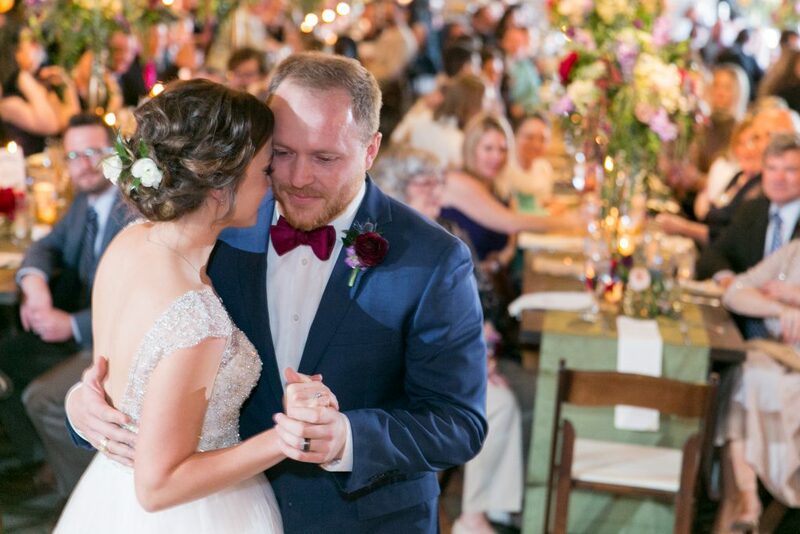 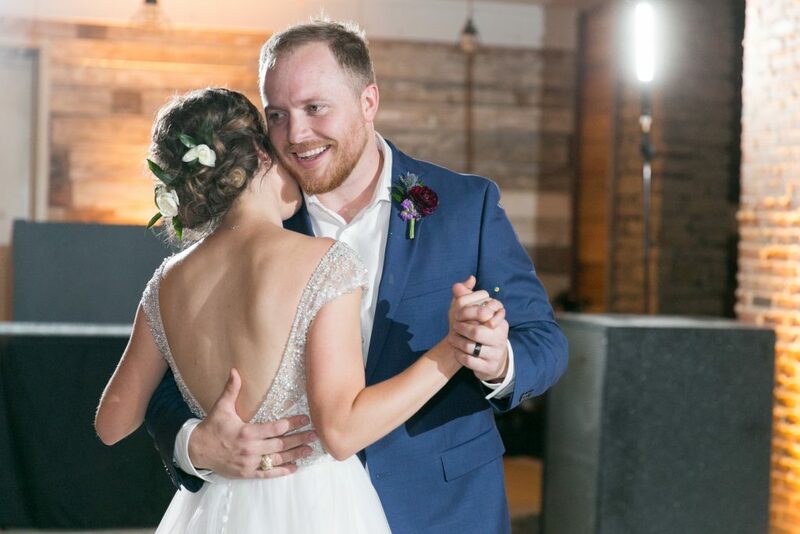 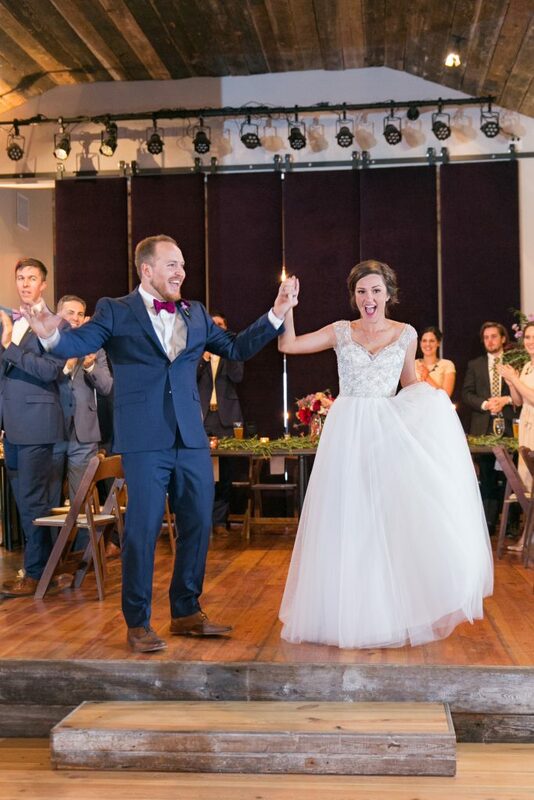 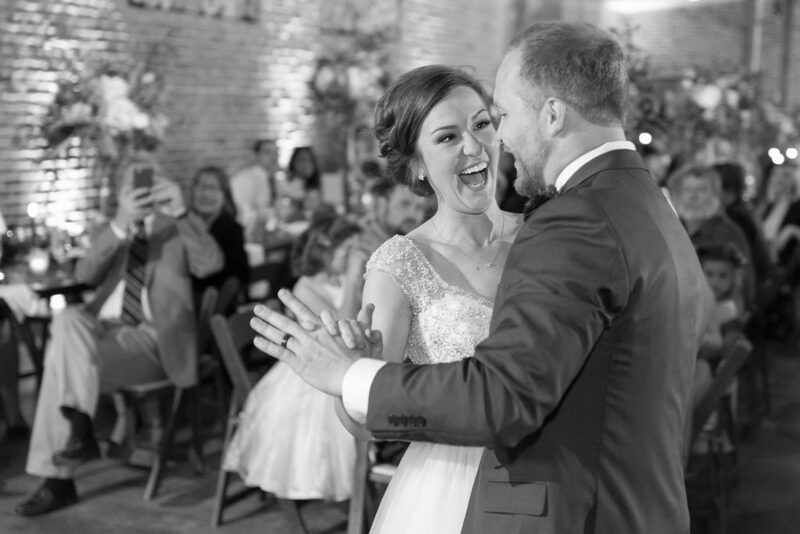 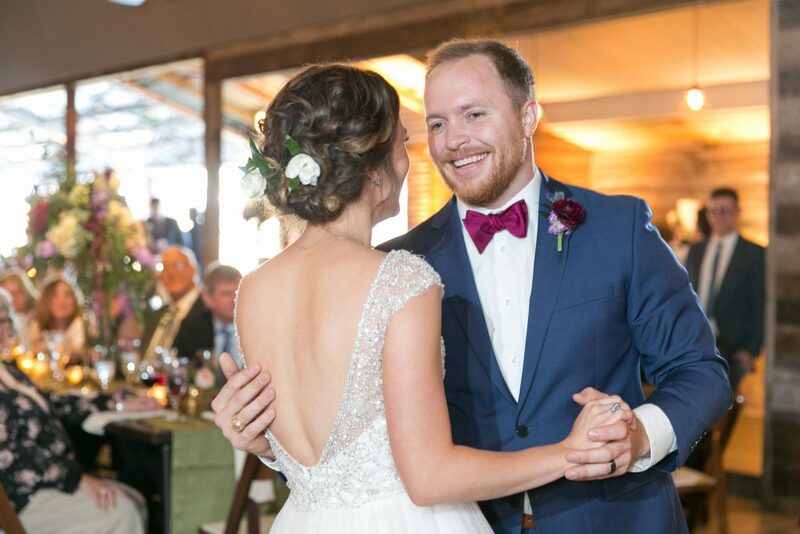 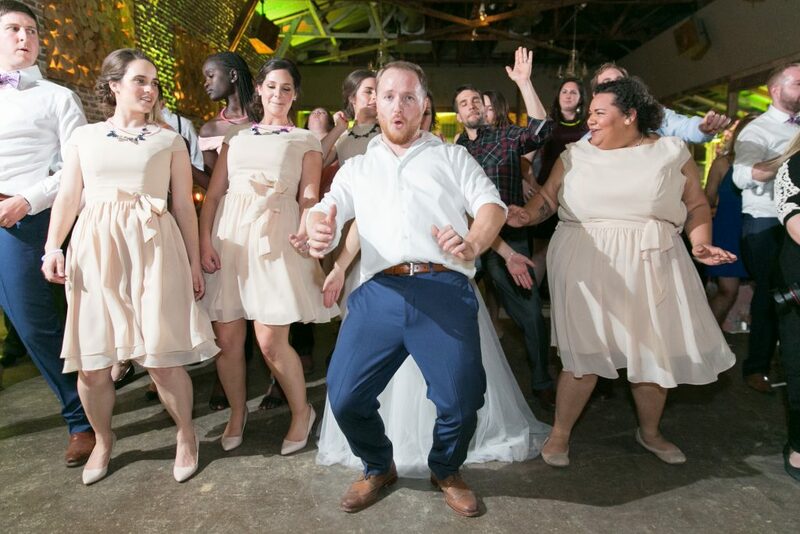 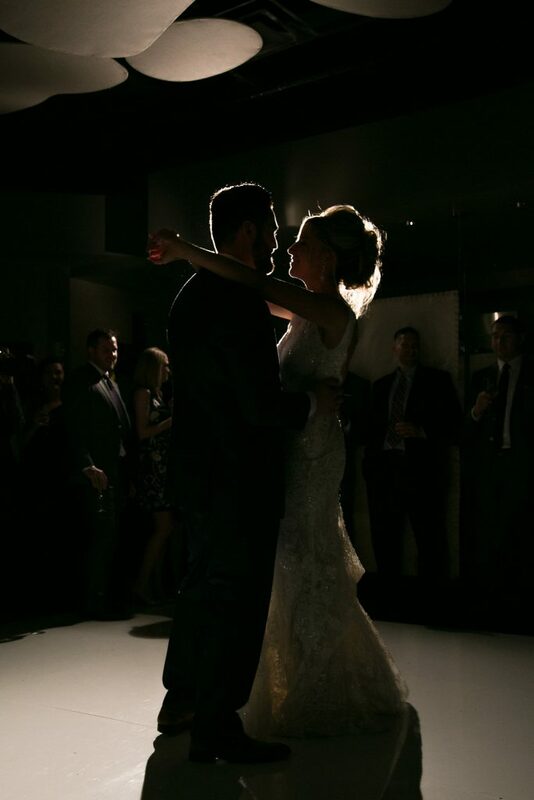 Annie of Lightly Photography married her sweetheart Josh and they danced the night away at MOPAC. 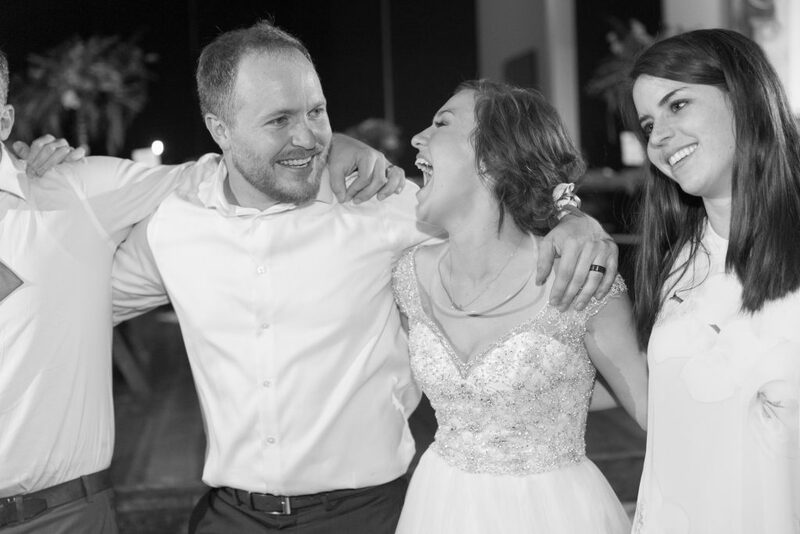 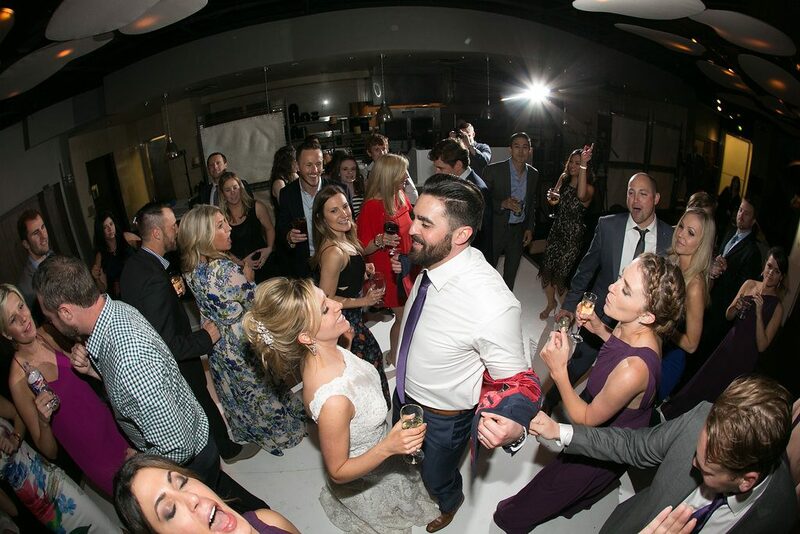 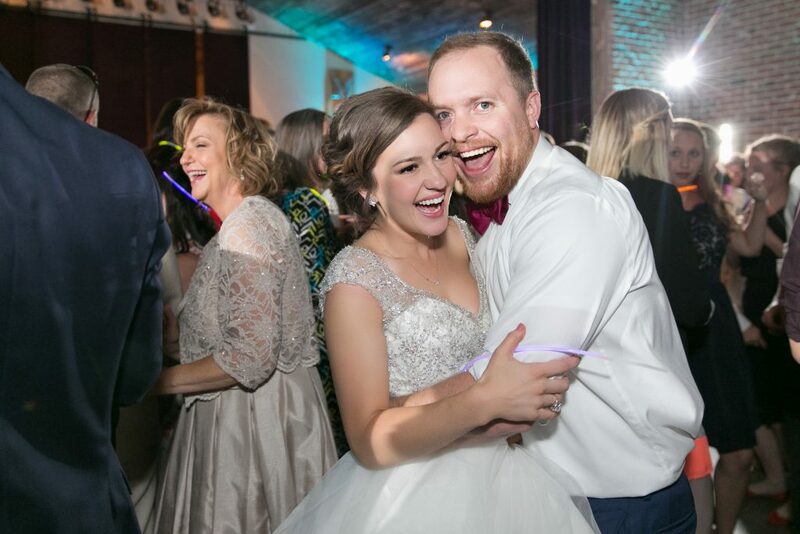 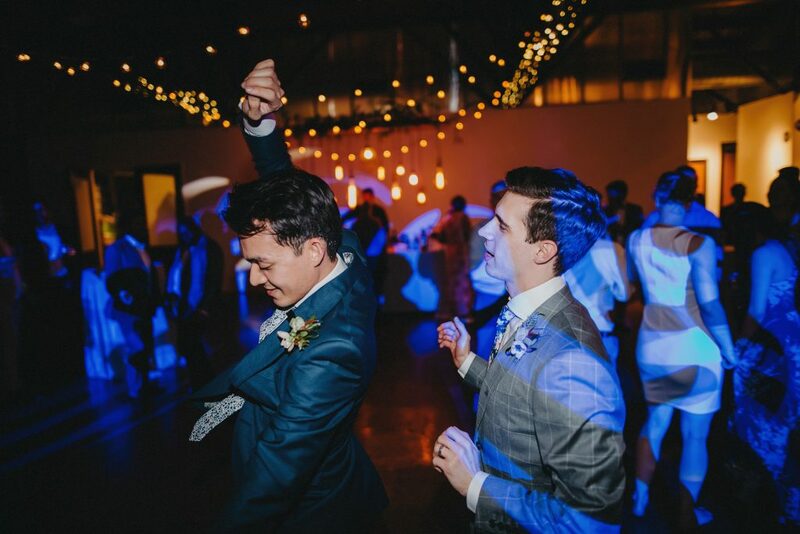 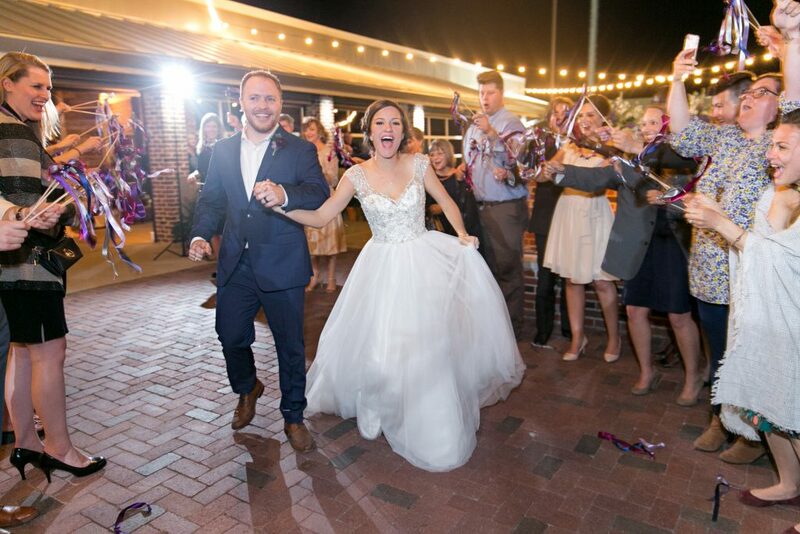 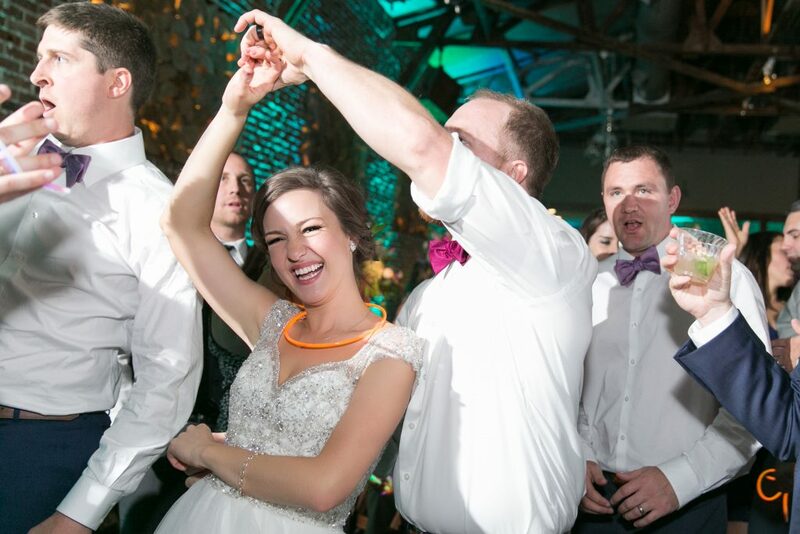 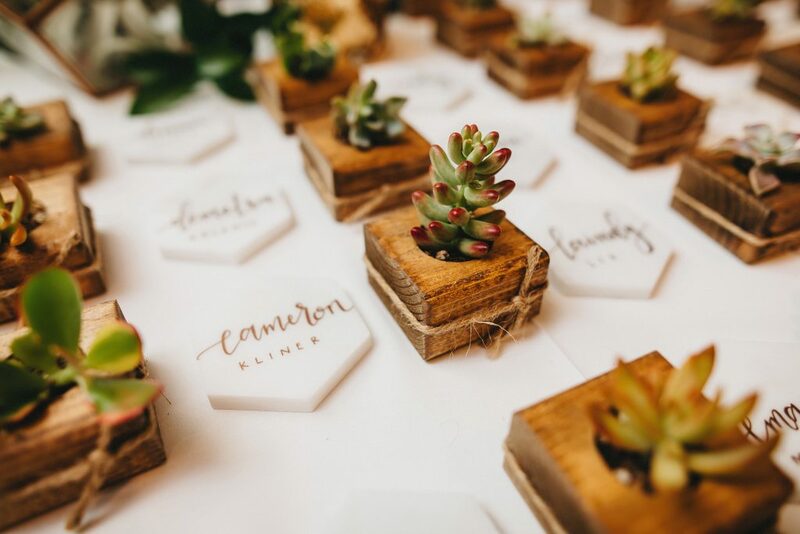 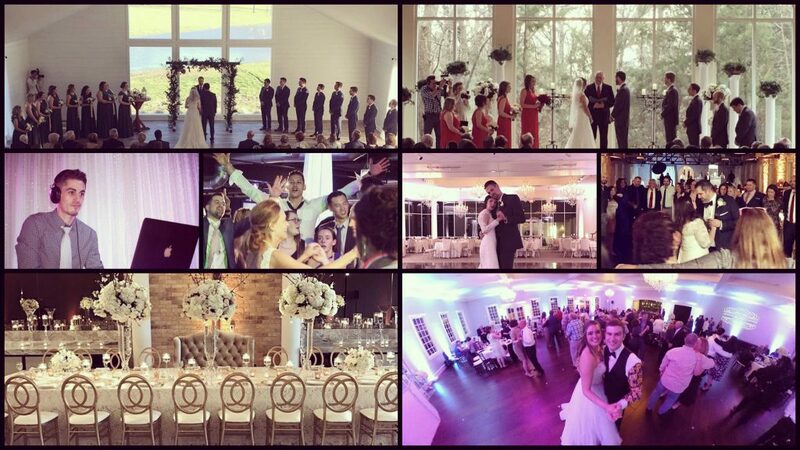 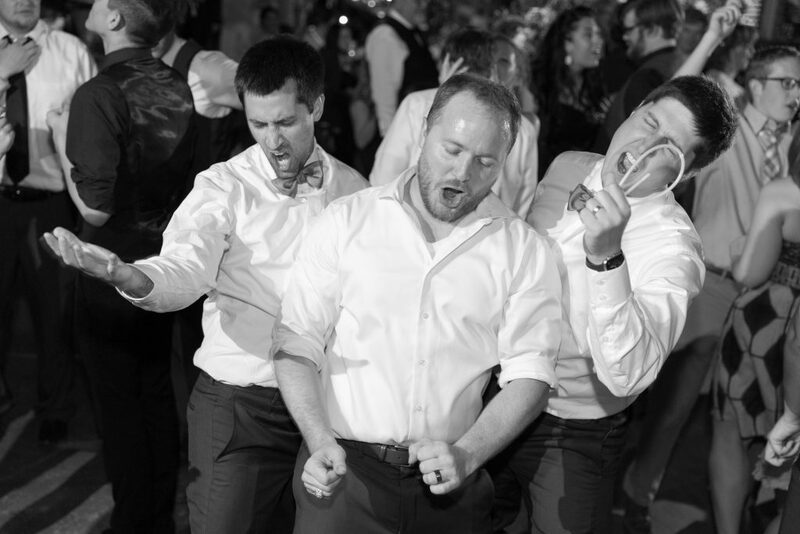 Tracy with Tracy Autem Photography captured the fun-filled night perfectly in these photos! 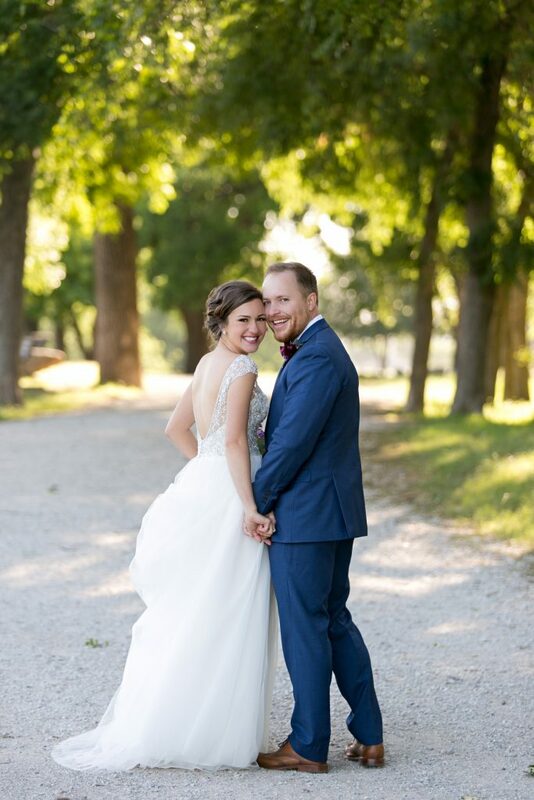 Congrats Annie and Josh we are so happy for you!